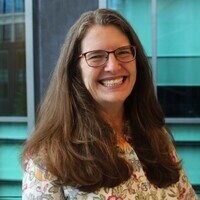 Kristin Kiser '79, M.H.A., M.S., will talk about research training opportunities available to Kenyon students, specifically full-time post-baccalaureate fellowships and summer internships in biomedical research at the National Institutes of Health (NIH). Students will learn about the application process and receive tips on how to: enhance their application materials, navigate the online system, and search for opportunities in their areas of scientific interest. The NIH Office of Intramural Training and Education (www.training.nih.gov) provides the application and information for summer internships and full-time post-bac fellowships. NIH, a federal agency within the U.S. Department of Health and Human Services, is the largest biomedical research agency in the world.